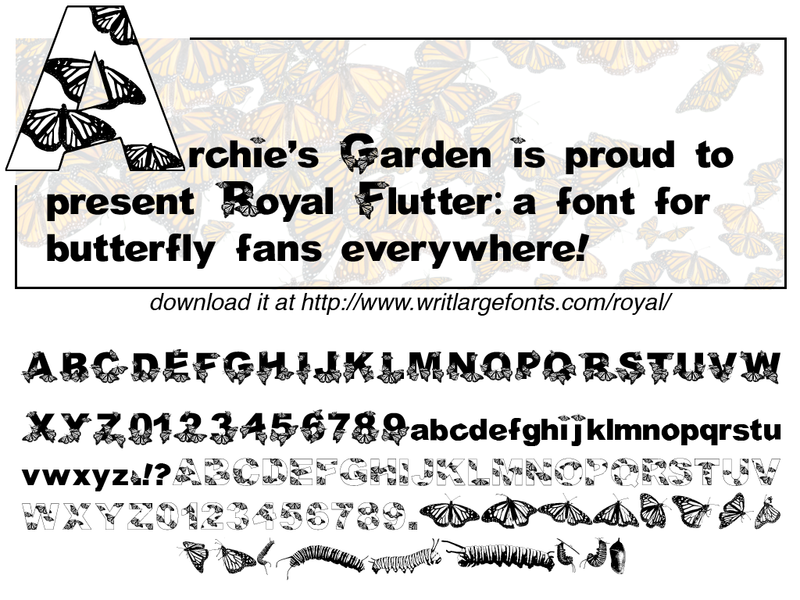 Archie's Garden: Archie's Garden has a font, and you can too! 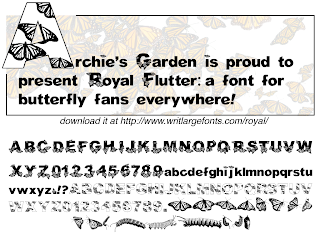 Archie's Garden has a font, and you can too! Archie's Garden has a new font, which you can download for free and use on your computer! It's called "Royal Flutter" and has a collection of Monarch Butterfly images that you can use to decorate your documents. Let us know if you create anything spectacular using it!